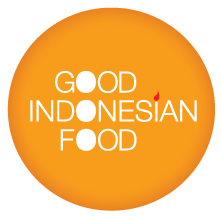 All the time in the world would never be enough to accommodate a conversation regarding the full wealth and diversity of Indonesia’s culture and cuisine. 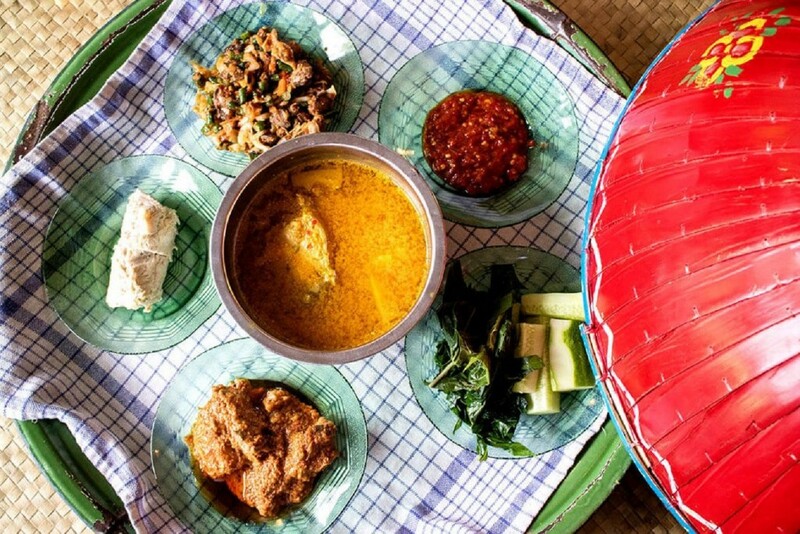 In the same manner as many other areas in the country, the people of Belitung also practice the tradition of eating communally. Known as “makan bedulang”, it sees enough food prepared for four individuals, served on a dulang (large platter) and eaten together. However, this custom has begun to go the way of the dodo with the passing of time – almost to the point of being forgotten completely. 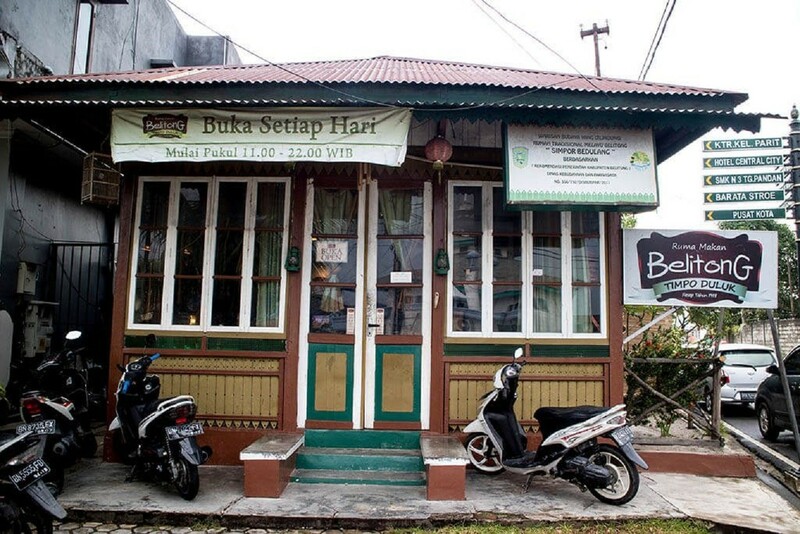 Ruma Makan Timpo Duluk has been trying to reverse this decline and promote this age-old tradition to the general public by offering a feast. Sporting a signature Belitung decor, the restaurant gives regular folks the opportunity to sample delicious local dishes and share them with others. Five different dishes were served on the dulang, with Gangan Ikan (yellow soup with fish and pineapple) taking center stage. Using wrasse, Gangan Ikan features a very refreshing flavor, with a combination of intense spices and sweet-and-sour pineapple resulting in a very tantalizing broth. At first glance, you’ll notice that it shares a few similarities with Palembang’s Pindang Ikan (steamed, salted fish). The other four dishes – Pepes Ikan-shaped Sate Ikan (fish satay), Tumis Kacang Panjang (sauteed long beans), Opor Ayam Kering (dry chicken stew), and Sayur Daun Singkong (cassava leaves) – were up to scratch as well, accompanied by a dollop of hot sambal. In my opinion, I felt that the fish satay suited my palate perfectly with its soft texture and delicious taste. Add a dab of Sambal Terasi (shrimp paste sambal) to make every spoonful an unforgettable one.